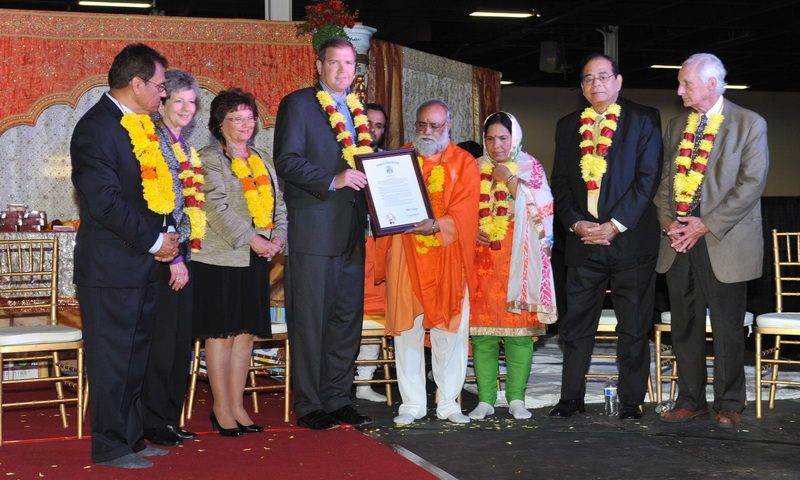 Senator Michael Doherty (R-23) joined state and federal officials and more than 2,000 members of the state’s Indian-American community to welcome one of India’s most renowned spritiual leaders, His Holiness Brahmrishi Shri Kumar Swami Ji, to New Jersey. 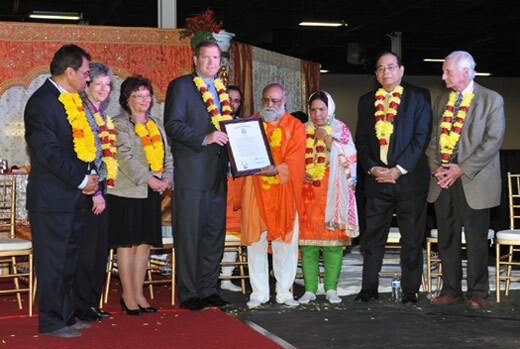 Doherty presented a resolution on behalf of the New Jersey Senate to Brahmrishi Kumar Swami honoring him as an Ambassador of Peace at a reception on September 29th at the Garden State Exhibit Center in Somerset. (From L to R) Varinder Bhalla, Franklin Deputy Mayor Rozalyn Sherman, Edison Mayor Antonia Recigliano; President of AWB Food Bank, Varinder Bhalla; Sen. Michael Doherty, Brahmrishi Kumar Swami, Guru Ma, Franklin Councilman Rajiv Prasad, Franklin Councilman Theodore Chase. His Holiness is the founder of Bhagwan Shree Lakshmi Narayan Dham Inc.